As instructional designers we are all trying to maximize the impact of our training courses. This often means that the content is successful in iliciting a behavioral change based on the content delivered, especially when creating elearning and training events for the corporate sector. Also important is realizing a positive return on investment (ROI) from the content we create. Positive ROI can be defined in a variety of ways. In most cases it’s tied to some dollar figure but that is not always the case. You should make sure to identify the key success factors to measure before implementation. The ability to meet certain ROI metrics comes down to the effectiveness of your course content – this is where instructional designers have to display their skills. One way we do this is by presenting material in different formats at the right time. Of all these methods, the most expensive and time intensive are videos – especially if you’re producing them yourself. Videos can also include simulations (one example being a simulation of new software). Using videos in your course content can have a significant impact on training ROI as it can help bring the content to “life”. 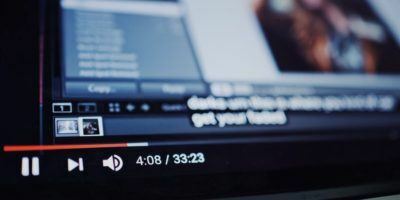 People are also used to viewing videos today given the popularity of programs like YouTube, DailyMotion, and other video-centric sites. It only makes sense to leverage this familiarity with your learning content. The infographic below (created by Origin Learning) details why you should use videos in your elearning and how you can get positive ROI results by doing so.